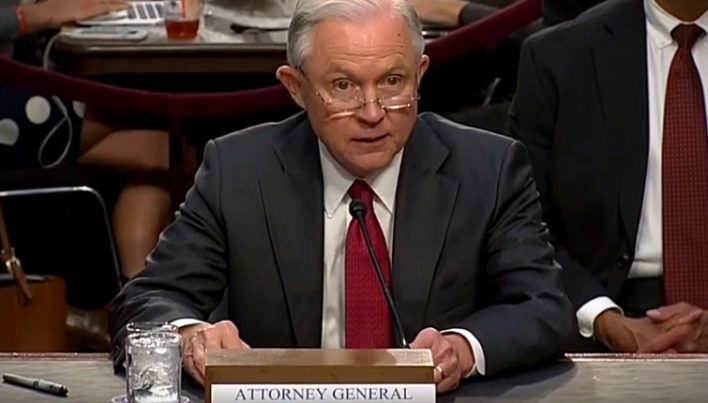 Sessions has also taken a reticent approach in going after high-level criminals in Washington, D.C., and elsewhere who are being accused of treason, human trafficking, and pedophilia. Many are wondering what, exactly, Sessions has been doing for the past 10 months other than bemoan states’ rights on issues with which he personally disagrees. “If the FBI has requested what is now several thousand pages of testimony and findings the Senate has gathered through their investigation of Planned Parenthood, that may mean that they could be readying indictments against individuals who have committed the sale of these little body parts for profit,” Franks stated directly to Sessions during a recent hearing. “Generally speaking, are findings made by any Senate investigation, any subsequent referral, sufficient evidence for the Justice Department to bring charges upon any party guilty of violating federal law?” he then asked. In his response, Sessions stated that it all depends “on the substance of those congressional findings, but they certainly can provide a basis for starting an investigation.” He added that “verifying the findings of the Congress could provide a basis for charges,” which seems to imply that Donald Trump’s Justice Department (DOJ) might just take action against the nation’s largest abortion provider. Last December, the Senate Judiciary Committee had referred Planned Parenthood to the Federal Bureau of Investigation (FBI) for further investigation. The committee’s head, Senator Chuck Grassley of Iowa, had referred not only Planned Parenthood but also several other abortion providers to the FBI after a lengthy investigation into all of the evidence compiled by CMP. The committee had found, as per the words of Grassley in a letter he wrote, “substantial evidence suggesting that the specific entities involved in the recent controversy, and/or individuals employed by those entities, may have violated that law.” He added that “that evidence is contained entirely in those entities’ own records, which were voluntarily provided to the Committee and are detailed in the report.” Planned Parenthood, on the other hand, denies all allegations of wrongdoing. As per federal law, no company or persons can legally profit from the exchange of fetal tissue, except in cases whereby “reasonable payments” are offered. But in the case of Planned Parenthood, company executives were seen trying to profit as much as possible in order to buy expensive goods like Lamborghini cars. To keep up with the latest on Planned Parenthood and the highly corrupt abortion industry, be sure to visit Abortion.news.